TU Training is a Private FET college that specialises in full time and part time IT, design & business studies. We have 15 campuses nationwide. 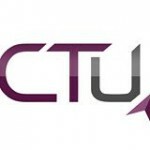 The CTU Training Solutions (Career Campus), established in 1987, offers a variety of up-to-date IT, business and design programmes with national qualifications and international certifications which develop skills and prepares the graduates for a future filled with exciting opportunities at our 14 campuses countrywide. The CTU Training Solutions (Career Campus) is a Private FET college. It was established in 1987 and offers a variety of up-to-date IT, business and design programmes with national qualifications and international certifications which develop skills and prepares the graduates for a future filled with exciting opportunities at our 14 campuses countrywide. Career opportunities for certified candidates from entry level right through to professional level are increasing rapidly. Whether a student decides to study a 1 year programme or a 3 year qualification, CTU will always include an international vendor-related certification and create an opportunity for CTU students to GET AHEAD.